Real Estate Agents - Join Our Winning Team! Since launching in 2012, we've become part of the fastest growing real estate company in the nation. 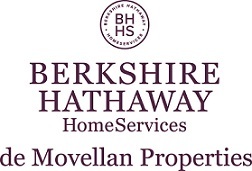 It's no suprise to us - we hear time and time again that the transition to Berkshire Hathawa HomeServices was not only easy, but easily the best decision both brokerages and agents have made for their organization and personal brands. "In any operation, join up with the best. You will gain from the strengths from those around you." Already an experienced agent? New to Real Estate? Start by learning more. Take pre-licensing courses and CONTACT US. Study for the state and national tests. Use your network of family, friends and neighbors. Contact our brokerage to find your perfect fit. Join the National Association of REALTORS®. Explore commercial opportunities and expand your areas of expertise.